Nationals of the UK, USA, Australia, New Zealand, South Africa and most European countries do not require a visa to enter Malaysia for up to 30 days. The currency in Malaysia is called the Ringit. At the time of writing £1 = 4.9 Ringit approx. US$1 = 3.2 Ringit approx. If your mobile phone is enabled for roaming, you will find it works in most places in Malaysia. We recommend you take medical advice from your doctor before visiting any part of South East Asia. He or she will be be able to advise you on the latest health-related recommendations and preventative measures. Water is drinkable in major hotels, but we recommend you stick to bottled water which is available everywhere. Malaysia is a very safe destination and visitors hardly ever experience crime or other difficulties, but please remember that there are bad people everywhere and petty crime can be a problem. Please take sensible normal travel precautions. Malaysia is tropical without extremely high temperatures. Days are very warm and often humid, while nights are fairly cool. The main rainy season in the east runs between November and February, while August is the wettest period on the west coast. East Malaysia has heavy rains (November to February) in Sabah and in Sarawak. However, it is difficult to generalise about the country's climate, as rainfall differs on the east and west coasts according to the prevailing monsoon winds (northeast or southwest). 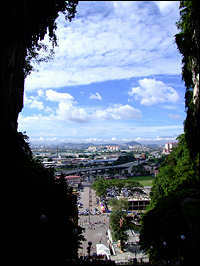 Average daytime temperatures in Kuala Lumpur are around 27°C (82°F) year round. Cameron highland hill stations are cooler due to the altitude.